"I was lured into believing that success was about money, power, fame, and pleasure. If those things defined success, then I should have opted for failure. My true success in life came when my focus was on doing what God wanted me to do and investing in the life of others. My only regret is that I wasted so many years chasing the wind when I should have been all in from the start." The death of Taylor Bellows, one of the wealthiest men in the world, devastates Brendan Austin, his best friend since childhood. But even more than Taylor's death, it's the set of journals he left behind that shakes the foundation of Brendan's life. Brendan and Taylor grew up together, from their days spent having adventures in the woods and pretending to be businessmen in Taylor’s father’s office to their eventual careers and marriages to the lovely Allison and Ann—and to Taylor’s struggles with infidelity. But through it all, Brendan and his wife Ann stood by Taylor and Allison, mentoring and guiding them toward the truth—even as Brendan often felt that Taylor resisted taking his words into his heart. And now, in reading Taylor's journals, Brendan uncovers things he had never known...about his friend, his life, and his faith. He discovers what it means to be a difference maker. A conversation starter, an approachable guide—in fable form—for mentors both deliberate and unintentional, The Difference Maker looks at the godly principles of true success, mentorship, leadership, courage, and transformation. The truths are powerful and applicable, in life and in faith, for everyone who reads them. Learn how to lead others while you follow The One. Introducing the newest release, THE KINGMAKER, A Leadership Story of Integrity and Purpose. At the heart of this leadership story, is the central idea that success-where purpose, talents, and resources come together to meet the needs of others- cannot be achieved in isolation. In The Kingmaker, Kyle Ellis, the CEO of powerhouse PR firm Ellis International, is known in an elite circle of people as the Kingmaker. Unlike others in his field, Kyle has the ability to unlock the true potential within his clients while guiding them to the highest levels of power in the world. After years of masterfully engineering careers to the height of success, Kyle suddenly finds that an alarming rate of his “Kings,” as they are known within his close network, are falling from power. Over the course of only a few short weeks, two of Kyle’s most high-profile clients have collapsed into trouble. Kyle is forced to step in to play damage control not only to save their careers but, in one case, their very life. With longtime friend and driver Parker McIntosh offering keen insights into the motivations of people in their circle, the two form a perfect pairing to master the strategic chessboard of business and politics. 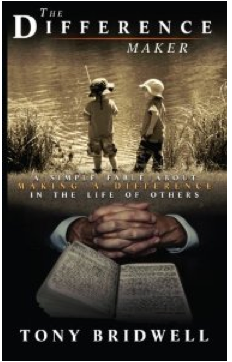 Tony Bridwell is author of The Difference Maker, A Simple Fable About Making A Difference In The Lives Of Others and The Kingmaker, A Leadership Story of Integrity and Purpose both of which are available at Amazon.com and Kindle. Tony Bridwell is a Partner and Practice Leader for Partners In Leadership with nearly three decades of executive leadership experience that informs his ability to consult, guide, and develop leaders on the practical application of Partners In Leadership’s models, tools and methodologies. 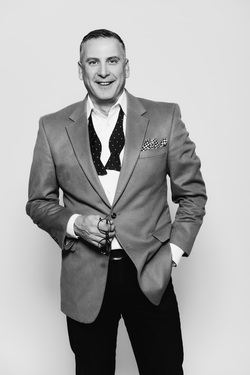 Most recently serving as the Chief People Officer of Brinker International, Tony is a highly recognized thought leader, speaker, and coach in corporate culture, L&D, and human resources, being named 2015 HR Executive of the Year by DallasHR (the local affiliate of the Society for Human Resource Management) and also receiving the 2015 Strategic Leadership Award from Strategic Excellence HR. Bridwell began working with Brinker in 2009 as a consultant representing Partners In Leadership. Beginning in 2009, Brinker and its restaurants were facing a tough economy. Based on this success and demand for his deeper involvement, Bridwell joined Brinker in 2013 and soon transitioned into a key member of their executive leadership as chief people officer in 2014. In addition to his professional commitments, Tony is dedicated to multiple organizations. He is a member of the Society for Human Resource Management (SHRM) and serves on the board of directors for two non-profits: Taylor’s Gift Foundation, which advocates organ donation awareness, and Unlimited Partnerships, a group dedicated to strengthening churches through the development and mentoring of future church leaders. A native Oklahoman, Tony, who has three grown children, now resides in Dallas, Texas with his wife, Dee. In addition to being a husband and father, Tony is an active member of his church, where he serves as a Deacon and leadership mentor.